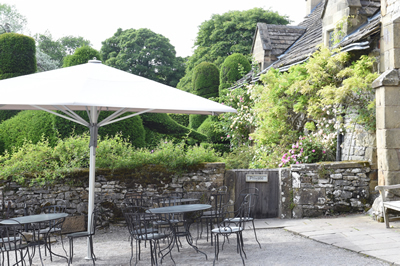 Open to visitors to the hall and the general public (there is no admission charge for those wishing to use the restaurant only) the restaurant is situated in the 17th Century stable block adjacent to the Hall and provides wonderful views of the estate. 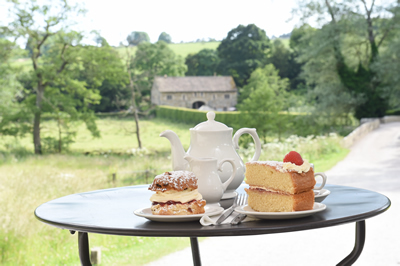 Newly refurbished and with an extensive new menu the restaurant offers something for everyone whether you want to enjoy a freshly prepared lunch or simply a relaxing cup of aromatic, freshly ground coffee accompanied by a tempting treat from the cake counter. 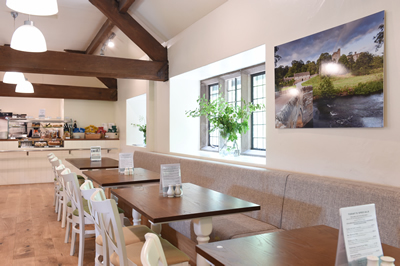 All our food is prepared by our Head Chef Dean and his team and a fantastic selection of speciality dishes, lunchtime specials, light bites, sandwiches and cakes are available, all of which are prepared using fresh, local ingredients. Each menu comes with an easy to use guide for people with special dietary requirements. Call or email now for more information or to book.